Always Turn to our Lord and Saviour! 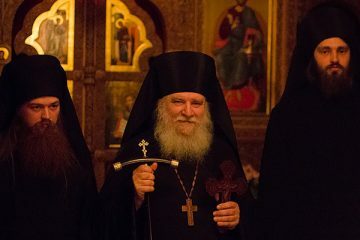 A short homily on the aim of the monastic life by Bishop Luke of Syracuse, delivered after the tonsure of three monks into the Lesser Schema. On the eve of June 28th, 2016 (o.s. 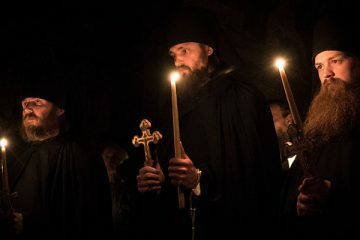 ), the feast of the Holy Venerable Fathers Sergius and Herman of Valaam, the abbot of Hoy Trinity Monastery Archimandrite Luke tonsured a monk into the lesser schema and a novice into the rank of rassaphore monk. Following the tonsures, Fr Luke greeted the new monks with this short exhortation. "Stand fast, fathers, stand fast." 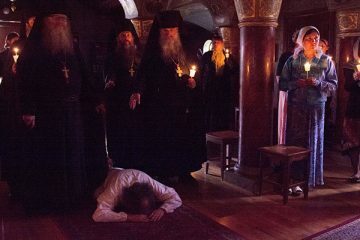 A short word given by the abbot of Holy Trinity Monastery on the tonsure of two novices into the riassa and kamilavka.